Allgrind are a family owned and operated business based in Melbourne providing its customers with high quality concrete finishes. 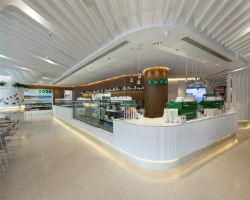 We specialise in polished concrete, decorative coatings and overlays, concrete resurfacing, floor preparation and leveling and protective epoxy coatings for both domestic and commercial flooring. Whether you’re concrete is internal or external, new or old Allgrind have a flooring system to suit your needs at a surprisingly low cost. Forget timber or tiles we can transform your tired old concrete into a durable yet elegant show piece. 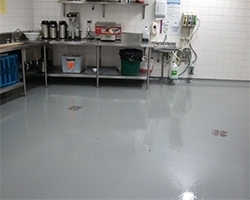 Epoxy floor coatings are the best way to protect diverse types of surfaces as a defensive layer. Polished concrete is rapidly gaining popularity in the upmarket society because of its low maintenance. 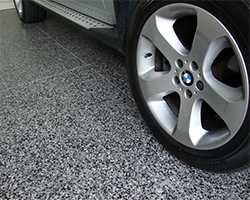 There are multiple options available for achieving any look imaginable with a concrete overlay. Don’t pull up your old concrete because it is uneven or cracked Allgrind can level it out. When it comes to polished concrete that is of the highest quality and created with care and attention to detail, you cannot go past the family owned and operated professionals at Allgrind. We have been in the industry for several years and during this time, we have established ourselves as a leader in the concrete polishing industry. Our focus has always been to deliver nothing but the best for our clients. We treat everyone with respect and honesty – just like we would with our own family. This is why people trust the team here at Allgrind. With the latest state of the art machinery and highly experienced tradesmen, we can guarantee that our work will be completed on time and with perfection. 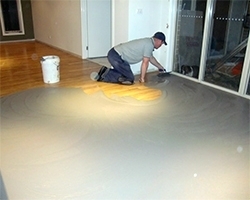 Using only the highest quality materials available your floor is sure to stand the test of time. As certified Pandomo and certified Superfloor installers, you can experience excellence and quality in its highest order and rest assured as all our work is guaranteed. Allgrind is ready to help everyone in Melbourne with their floors. If you are looking to get your concrete polished or if you want concrete floors, we have the services and the experience to deliver the highest quality finish for you. Just reach out to us today and experience the best with Allgrind. Call Allgrind on 0407 682 576 or fill in our Online Form below and we will get back to you in 24 hours! Get a Free Instant Quote Now !